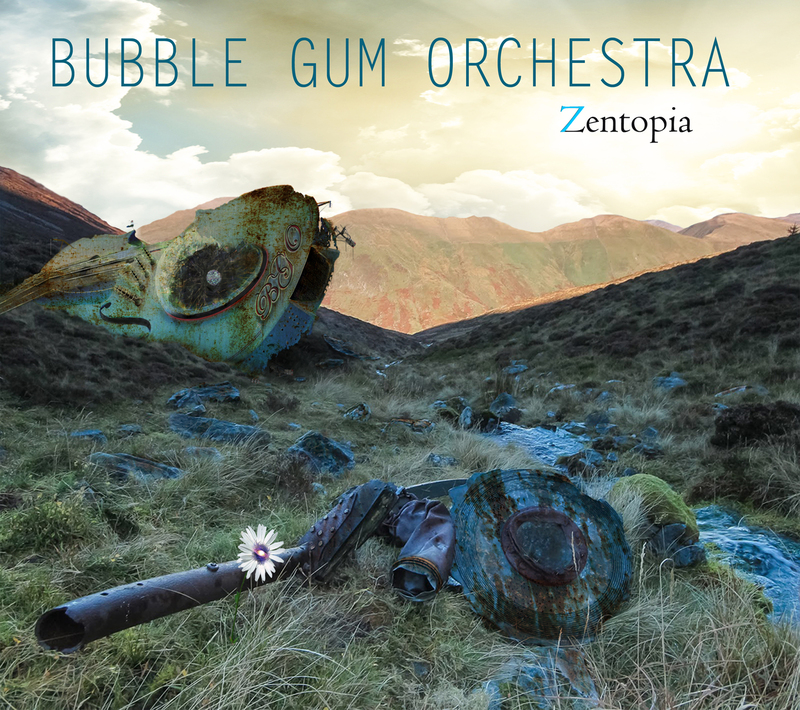 Who'd have thought that seven years after Michael Laine Hildebrandt and his Bubble Gum Orchestra crashed into the elobeatlesforever (elobf) universe with "Out Of This World" that Yours Truly KJS would be here in Summer 2018 casting an eye over the event horizon at BGO's seventh studio album "Zentopia"? Yet here we are enthusing about a remarkable eleven song outing in more ways than one as BGO blend emotion, angst and even eroticism alongside classic sci-fi and an affirming tribute with a little help from brother Douglas and former band mate Bob Stewart in a record that will never be technically released but always available to hear. 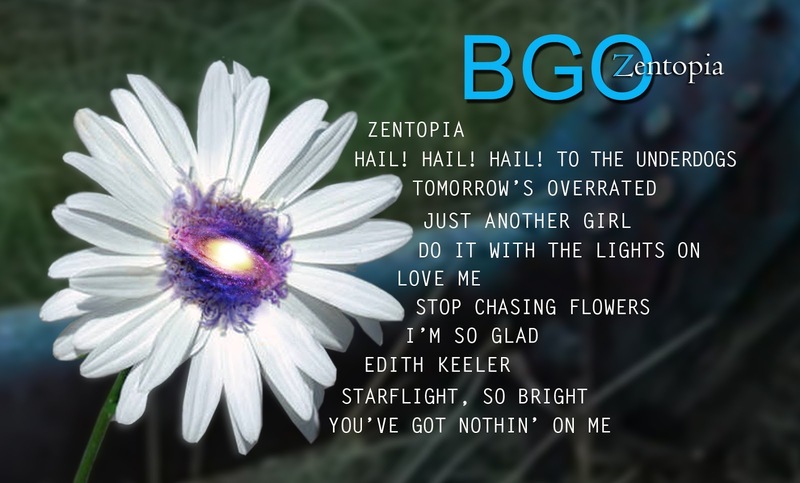 "Zentopia" is an album of contrasts instantly taking the listener from the peaceful overtures of the opening title track to the wonderfully anthemic rocker "Hail! Hail! Hail! To The Underdogs", a tune that resonates with this particular writer much. The theme of time permeates this record, as evidenced in the catchy "Tomorrow's Overrated" before the anti-romantic foot-tapper "Just Another Girl" with its alter ego "Do It With The Lights On" on a different level with, let us say, its naked ambition underpinned by those familiar BGO production values. You get the idea listening to this record that Michael is baring his soul from either end of his life experiences. In that way, this is a very personal album. Cue the almost psychedelic "Love Me" and "Stop Chasing Flowers", an appraisal of a former friend with a bitterness and honesty not heard since ABC's iconic "The Lexicon Of Love". We then jump to the diametrically opposite up beat sentiment of thankfulness "I'm So Glad" (with its superb guitar licks and solo). elobeatlesforever (elobf) recommends "Zentopia" by Bubble Gum Orchestra to those enlightened folks who enjoy the music of ELO, Jeff Lynne, Roy Wood, The Move, The Idle Race, 'Brum Beat', The Beatles and related artistes.